Another presentation Spitfire photographed freshly off the factory. 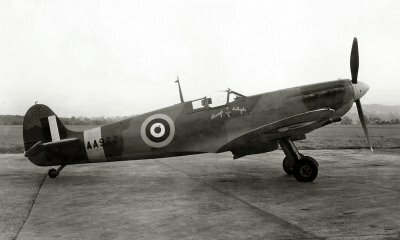 AA963, Spitfire Mk. 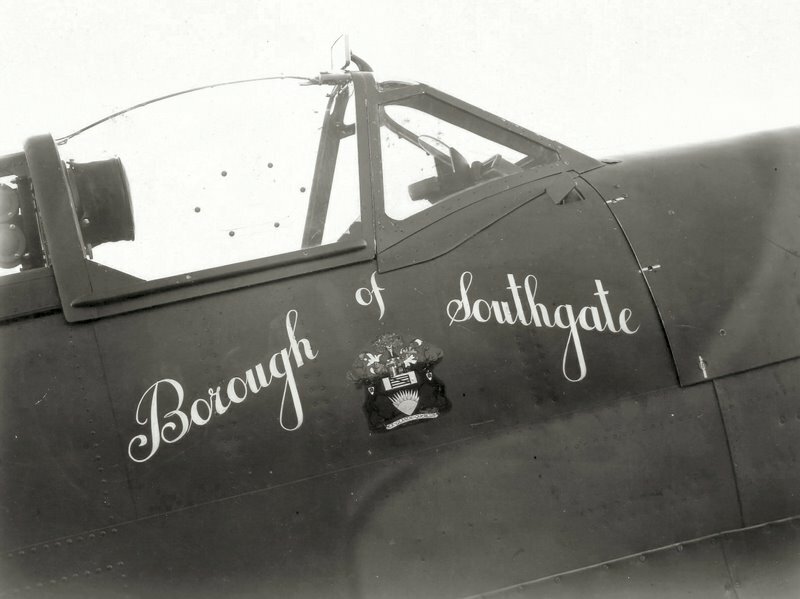 VC ‘Borough of Southgate’ was funded by the people of the North London suburb of Southgate. Interestingly, at the time when the photgraphs were taken the aircraft did not carry cannon armament. AA963 went to the US in early 1942 for evaluation at Wright Field. It is known to be repainted in USAAF colours of Olive Drab with Medium Green patches around the edges of the wings and horizontal tail surfaces, and Neutral Grey underneath. Then the aircraft briefly disappeared after being displayed in Chicago, and then again at Lincoln AFB Nebraska in 1943. Then the trail went cold. Barry Gillingwater who has kindly provided these two photographs, is trying to track down what the eventual fate of AA963 was. If anyone can help with photos or information it would be most appreciated.